Lord Krishna is the most loved God in the western Uttar Pradesh. In the parts like Mathura, Agra, Vrindavan, Gokul etc. He is treated like a friend, supreme leader and lover. 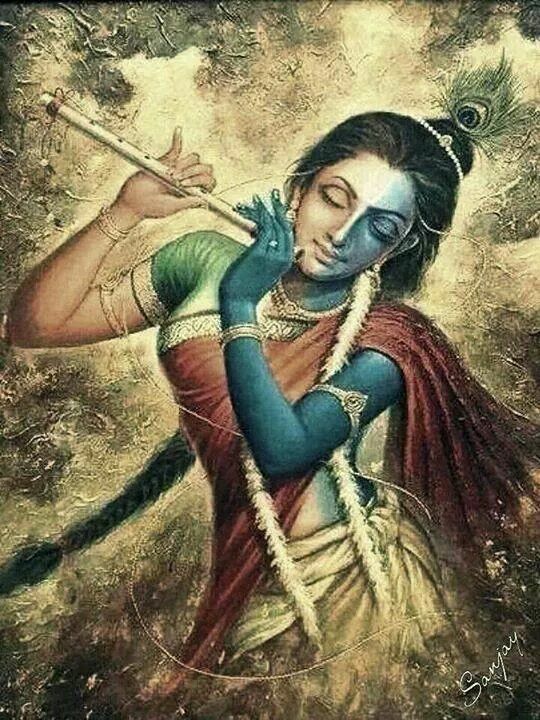 Krishna’s personality is super attractive with colorful clothes, peacock feather on crown, flute in hand and beautiful smile on face. In this article we are listing top 10 lord Krishna images. Complete Hanuman Chalisa in Hindi & English with meaning. Download PDF, Listen MP3 and Video. This is one of our favorite image. Along with Krishna and Yashoda, you can find flute, butter and a parrot. Yashoda is loving her baby. It appears like both are fortunate to have each other. 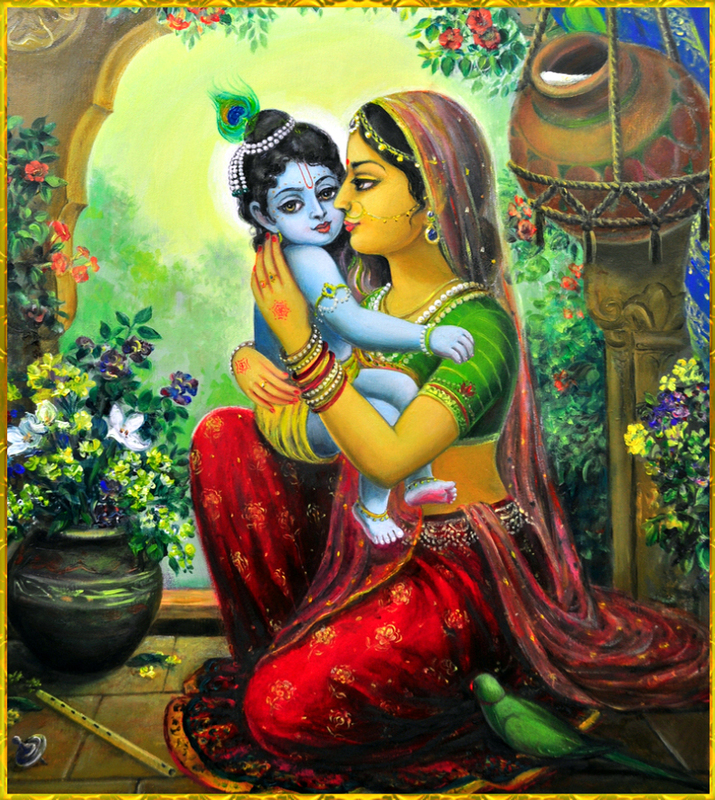 The red and green clothes of Yashoda and blue tint of Krishna’s body is giving a vibrant look. This picture has a very special meaning of life. 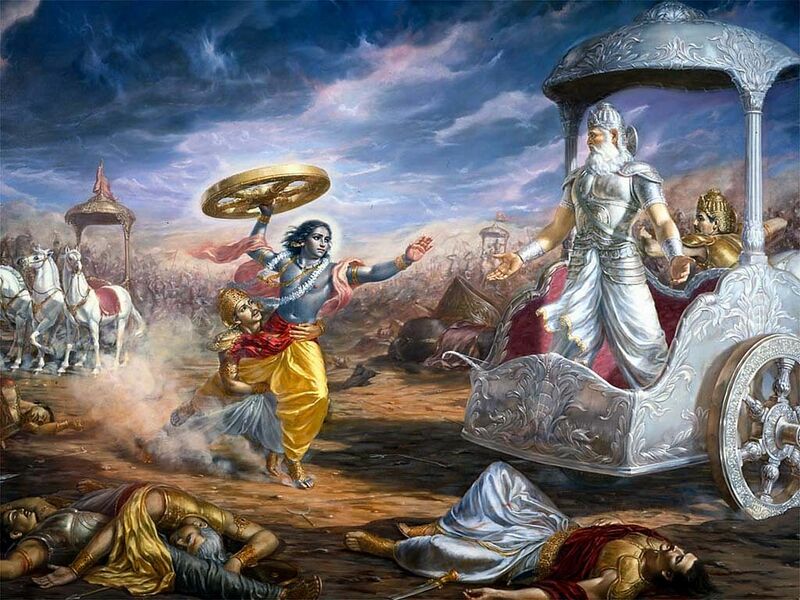 Although Krishna promised not to hold weapon in the war of Kurukshetra, when he saw that Arjun was hesitant in attacking Bheeshma Pitamah and Bheeshma was brutally killing the army of Pandavas, he broke his promise and hold the wheel of chariot to kill Bheeshma. But Arjun stopped him. By this act Krishna taught the world that when your promises are stopping you to save the truth then it start supporting sin. In that case one should break their promises and fight for truth. 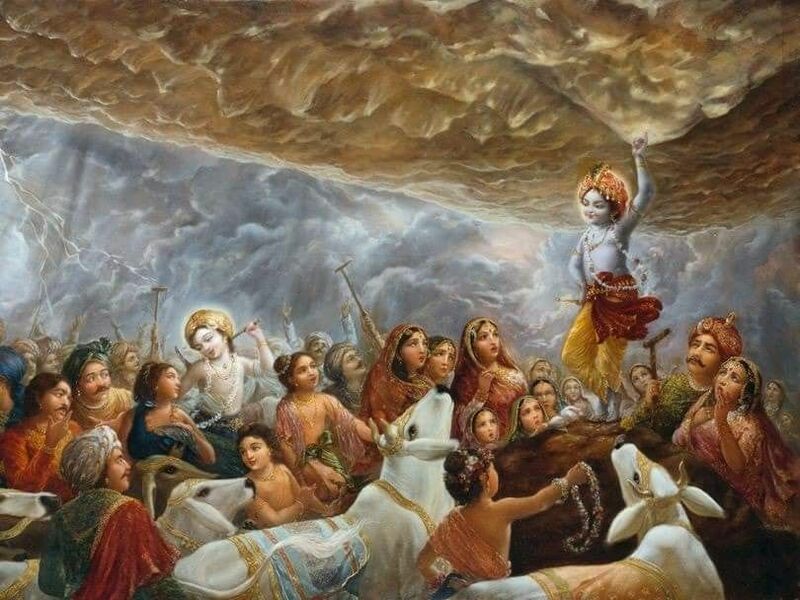 When arrogant Indra attacked people of Gokul by heavy rainfall, lord Krishna hold Goverdhan mountain on his little finger and all the people along with animals took shelter under it. Indra tried hard to hurt people but in vain. He lost with a kid and people got free from the fear of Indra. Once a women was selling fruits. 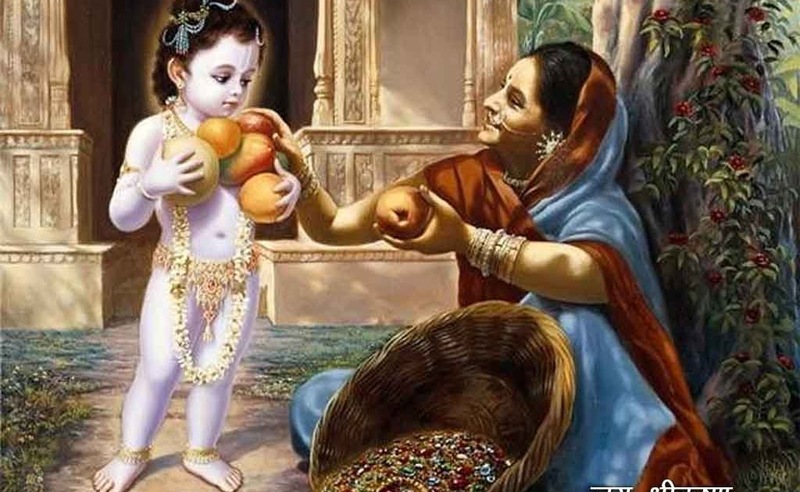 Krishna wanted some fruits but couldn’t buy because he had no money. So he gave her a handful of grains. His hands were too small and the quantity of grains in them were very less. But women happily offered him few fruits. Soon her empty basket got filled with precious gems and pearls. 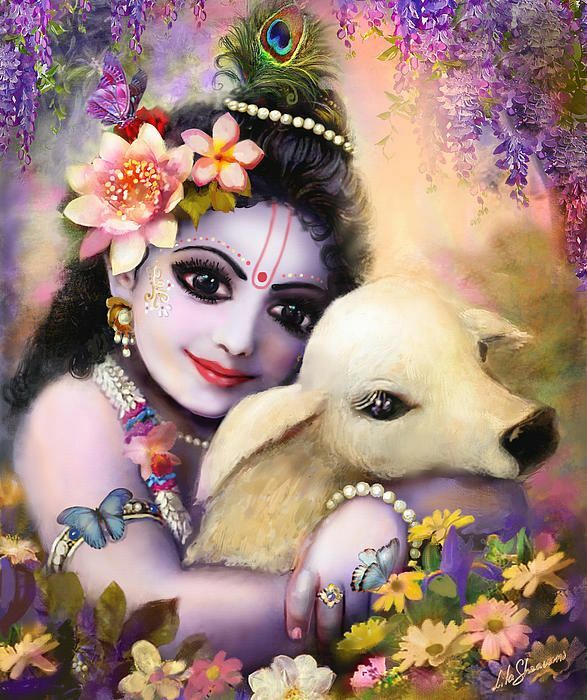 In this image baby Krishna is hugging a baby calf. This signifies the love and care towards animals. Mata Yashoda was tired with the mischief of Krishna. So she bound him with ropes. When she tighten the ropes, few drops of tears came out the eyes of Krishna. 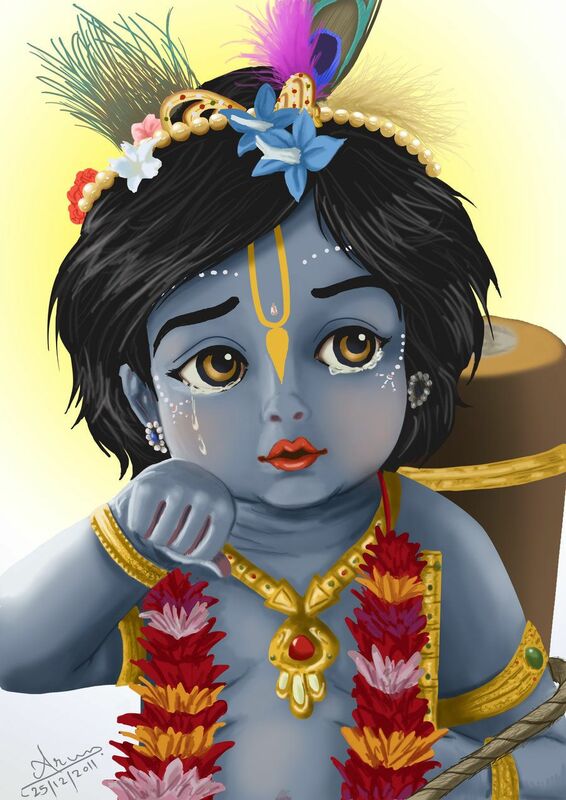 Its heartbreaking to see Krishna crying. 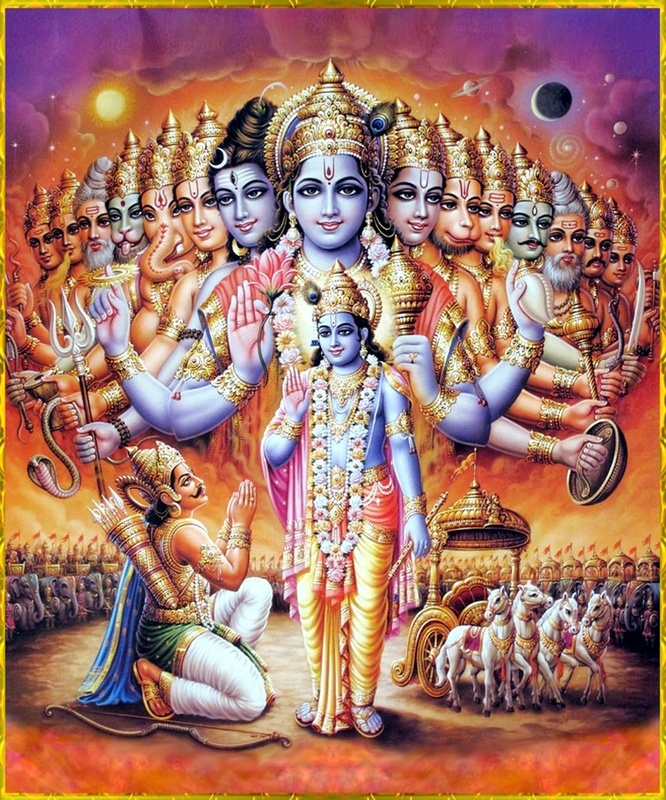 When Krishna was narrating the teachings of Bhagwat Gita to Arjun, he showed him his gigantic form. By this form he taught Arjun that everything in this universe belongs to him and only him. In this image Krishna and Radha is shown in a single figure. This shows that both Radha and Krishna are same and should not be considered different. A great snake Kaliya spread poison in the river Yamuna. So Krishna entered into the river and defeated the snake. He then emerged out of the river on the Snake and danced over it. 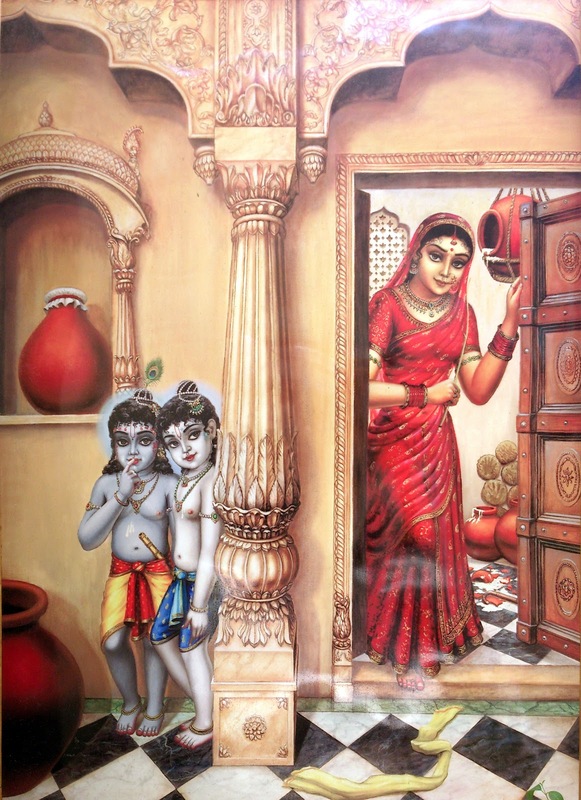 After committing a mischief both Balram and Krishna were hiding from mother Yashoda.